Eid-ul-Adha, also called the “Festival of Sacrifice”, is the second of two Islamic holidays celebrated worldwide each year. Eid ul-Adha is called Id-ul-Adha in Arabic and Bakr-Id in the Indian subcontinent because of the tradition of sacrificing a goat or “bakri” in Urdu. Many Muslims sacrifice a sheep/goat/cow/camel and do 3 parts of the whole animal then keep 1 part for their selves,1 part for friends and family and 1 part for poor people. I love entertaining during the holidays and festival days more than any other time of year. It gives me the opportunity to do what I love most, make healthy gourmet meals for the people I care about most and to show respect and love for that time of year when it actually feels celebratory and special. Also I want my kids to see what actually our traditions are and I feel food is in some of the main things in it. 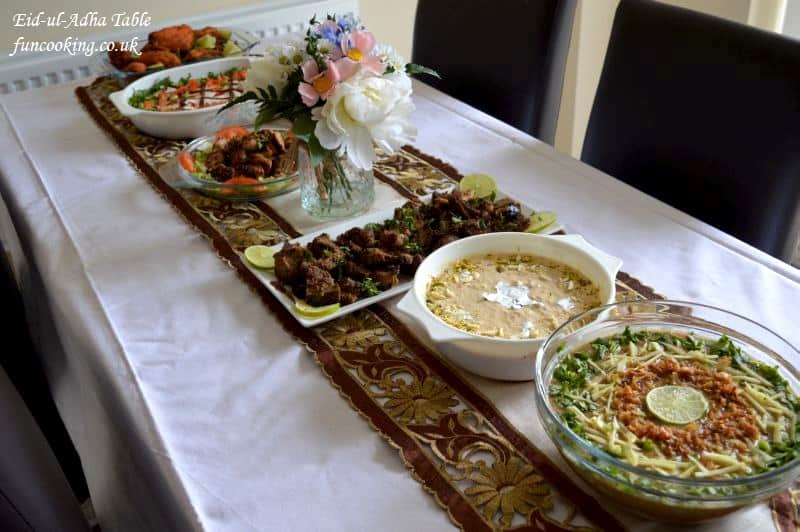 I remember when I was little my mom used to cook so many dishes on Eid day and keep them on dining table so we can eat and enjoy our favourite things all day long. Same memories I want my kids to remember because a dining table full of tempting mouthwatering meals is a thing you can’t forget and it will save in your mind for your whole life. 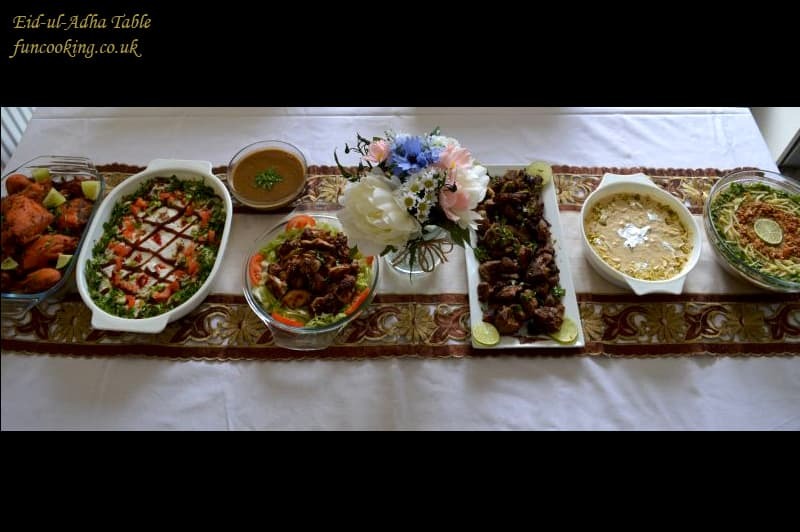 So here is my Eid_ul_adha table menu 2018. All recipes are given below. 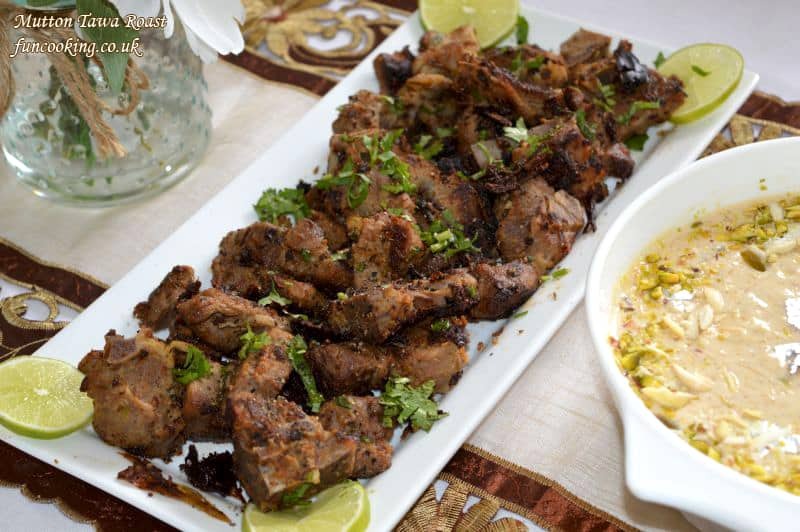 Very nice and flavorful mutton recipe.You can also make it with beef. 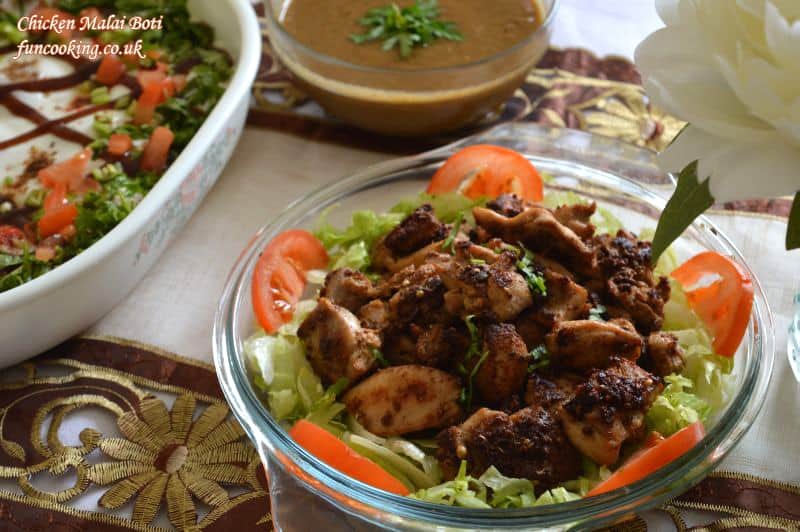 Boiled meat with just 3 spices black pepper corns, cumin seeds and coriander. 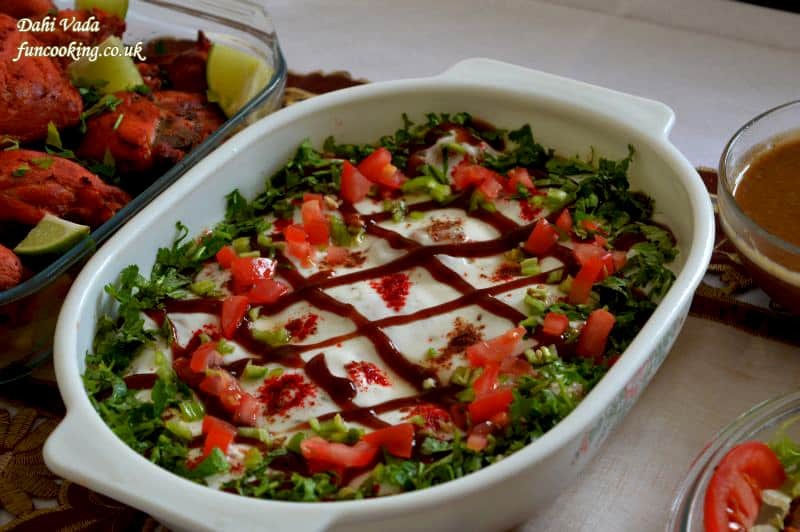 This is my mom’s recipe she made it on every Eid-al-Adha. This is a very easy and tasty Chicken Roast recipe. You can make it 3 ways, pan cook, bake or airfried. 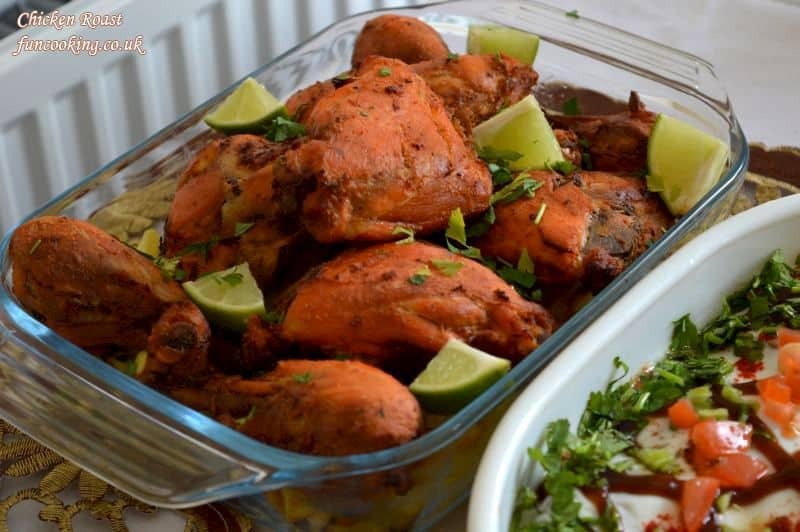 This recipe is best for parties and big gatherings, make sure to marinate chicken for 1 day and use fresh ingredients like ginger/garlic/green chili to have the best taste. I made this recipe exactly like imli podina chutni, just reduced the quantity of mint from the recipe. 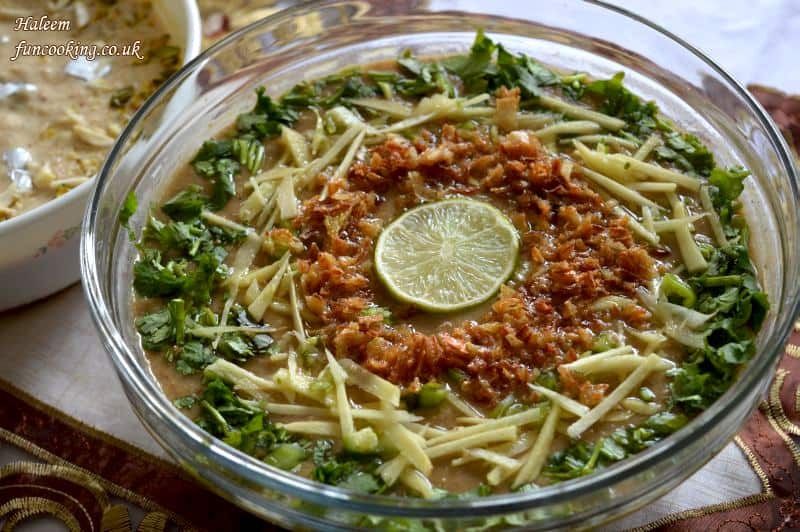 Shahi Sheer Khurma is basically vermicelli pudding. 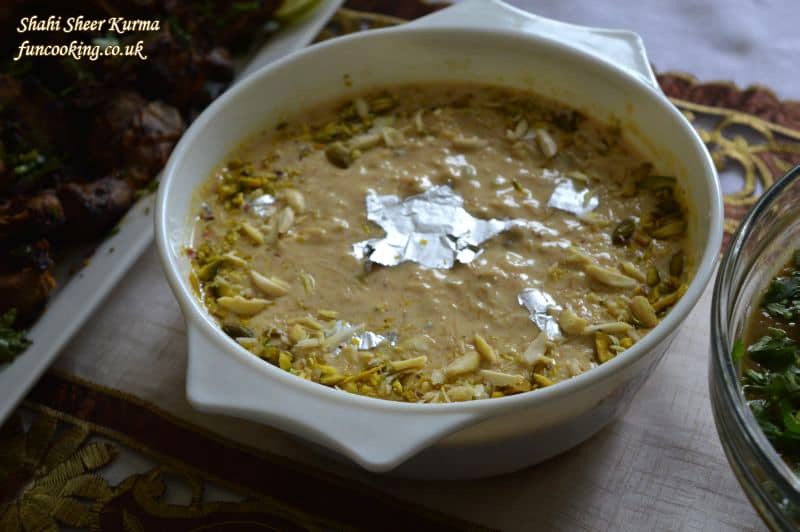 Khurma means dry dates so its a vermicelli and dry dates pudding with lot of dry fruits. 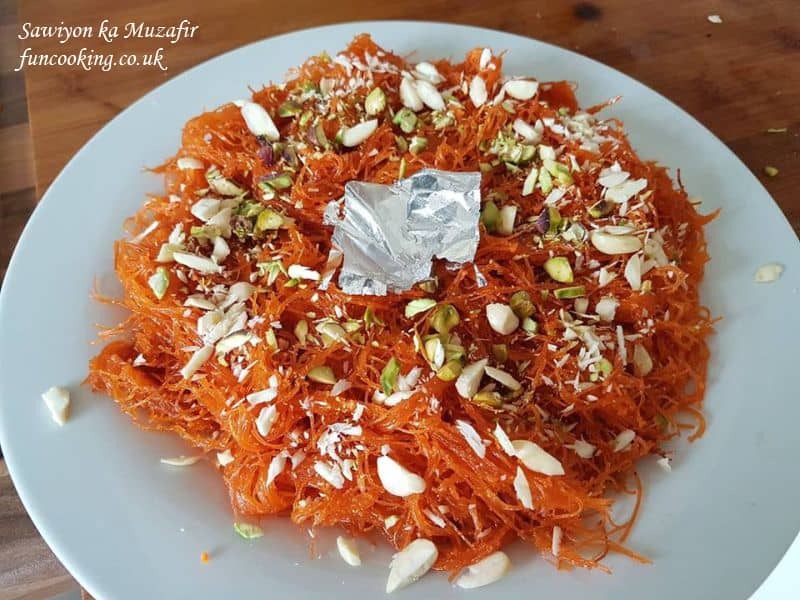 Its traditional dessert recipe of Muslims of India/Pakistan. 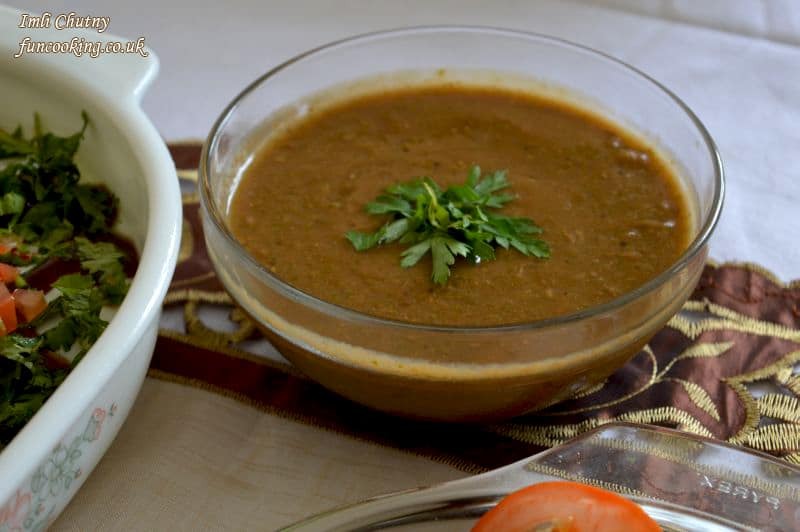 A short video of how I made all these Eid-ul-Adha recipes.